Before now, most of us must have been searching for a way to send/share applications online to our friends on whatsapp chat app. But all could not avail. All we could transfer to friends on whatsapp are; pictures, videos, Audio records and music etc. Some of us would go the extent of uploading the app on a site like dropbox, datafilehost e.t.c and thereafter providing a link for friends to download it with, on whatsapp. Hey! believe me, this is a long process to follow and sometimes it doesn't work out. So this tutorial is based on covering the simplest method inwhich one can transfer/share files and app directly to friends on whatsapp without visiting the website via a link. To get it done, follow the guide below step by step. 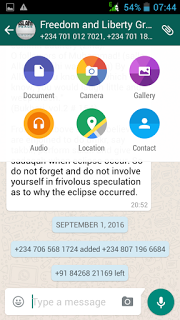 How To Transfer/Send/share files Like Apk, pdf files To Friends on Your Whatsapp Account. =>First of all most, you are required to locate the application whether in apk/zip/pdf file that you want to transfer through whatsapp in your file manager. That is, the file manager which your phone comes with. √ How To Use Your Android Device As Mouse Or A Keyboard To Your Laptop/Pc. 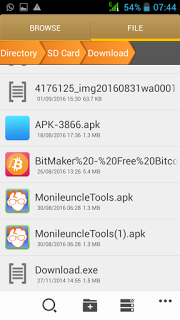 √ How To Use Imei Analyzer For Better Tweaking Of Imei-For New & Old Users. => Next is to come back to whatsapp and click the account or group you wish to share the file to and at the top right hand side of your whatsapp click on share and then select the documents. 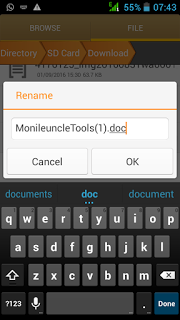 Inside the documents, find the app you renamed to (.doc) and highlight it again, now click on send. =>The app is now sent to the receiver but you need to tell the receiver to change or rename the (.doc) to .apk format in order to install the app on your device. That's all for that. Am already enjoying sharing app with friends on whatsapp. I guess this should be helpful to those who are yet to learn from sharing apps on whatsapp chat application. Feel free to ask question where you don't comprehend.